MONROVIA, Liberia — More than a month after Liberia was declared free of Ebola, at least two new cases have emerged, the first discovered when the body of a 17-year-old boy tested positive for the virus, officials said Tuesday. The World Health Organization declared Liberia Ebola-free on May 9, a landmark moment in the country, which has suffered more deaths from the epidemic than any other. But on Tuesday, Tolbert Nyenswah, Liberia’s deputy minister for health, announced at a news conference here in the capital that a new case had emerged. It occurred in a small town just outside Monrovia. The family of Abraham Memaigar, 17, who died over the weekend, called a burial team that took swabs of the body and sent them to a laboratory. It confirmed that the boy had been infected by the virus. On Tuesday, an Ebola response team exhumed the body and had blood drawn for a more precise swab test. That test also came back positive. Late Tuesday, a person connected to Abraham tested positive for Ebola, and tests of two other people were inconclusive, Dr. Massaquoi said. Thirty-three people who had contact with the teenager were isolated in their homes and were being monitored, he said. Three people will be sent to a treatment unit here Wednesday, he said. “The Ebola fight is not over, but we must not lose hope,” said Dr. Bernice Dahn, Liberia’s newly appointed minister of health. She contended that the quick response to Abraham’s case, including the rapid testing and confirmation that the boy had the virus, demonstrated Liberia’s preparedness to deal with another outbreak. 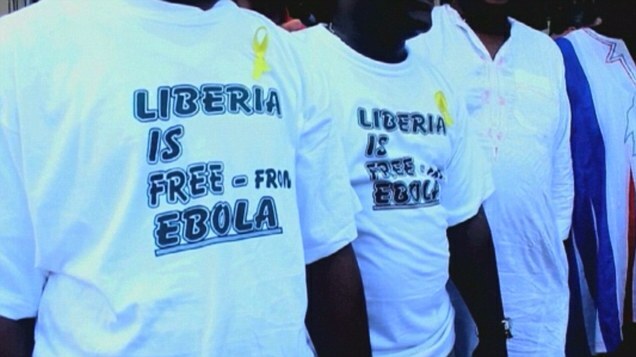 Liberia has recorded close to 5,000 lives lost to the virus. The country reactivated an Ebola treatment unit at a time when the facilities, built with the help of the United States military, had stood empty and Liberia was beginning to close them. Mr. Nyenswah said it was not yet known whether the infection came from Guinea or Sierra Leone, West African neighbors that still have small numbers of new Ebola cases. Abraham, who sold used clothes at a local market, fell ill at his mother’s house a week before his death, experiencing fever, diarrhea and vomiting. Abraham’s father, James S. Memaigar, 49, a shoe salesman, said a local clinic had told him just three days before his son’s death that Abraham had malaria. The clinic had sent him home with a handful of tablets, Mr. Memaigar said. Abraham died Sunday in his father’s home in a community known as Smell No Taste, a few miles from his mother’s home and a short distance from Liberia’s international airport and the Firestone rubber plantation. Mr. Memaigar had contacted the burial team and dragged his son’s body out of his room on a mattress. Abraham was buried the same day by an Ebola burial team in an overgrown cemetery a short distance from the house. Dr. Dahn said investigators were trying to determine how the boy had become infected. 3) Liberia has proven competent to confirm two cases, now that they don't have people dying by the hundreds this year. Yet. But as far as stamping out the disease at such a low level, they are about as competent as the Iraqi Army against ISIS. 4) We have no idea how many other cases they've missed/mis-diagnosed since outside attention has waned. 5) With the uninterrupted media blackout of most all Ebola-related news, we never will, either there, nor here. It's frankly almost a miracle that the NYT even chose to publish this piece. Ebola will never ever get here from there, so there's no need for flight quarantines, and our superior health care system and dedicated medical practitioners would stop it in its tracks if it ever...oh, wait, nevermind.